We’re growing quick in Rwanda! 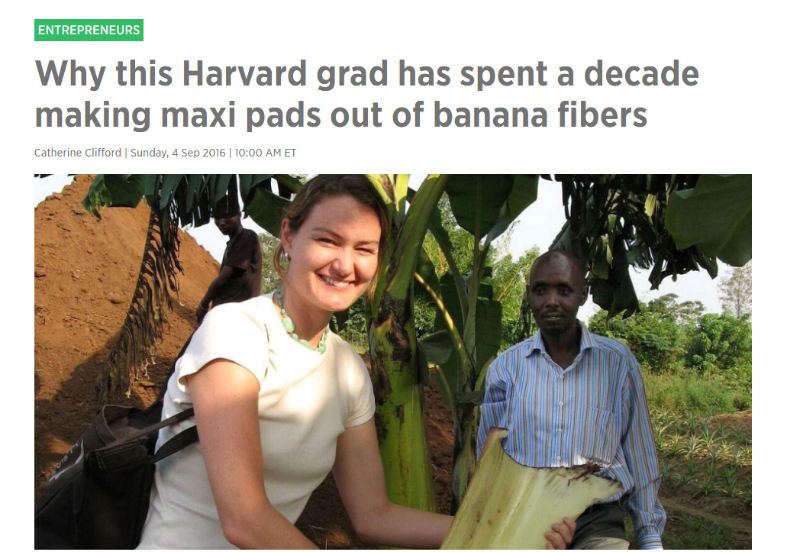 As we reach more and more girls, we also need more banana fiber. 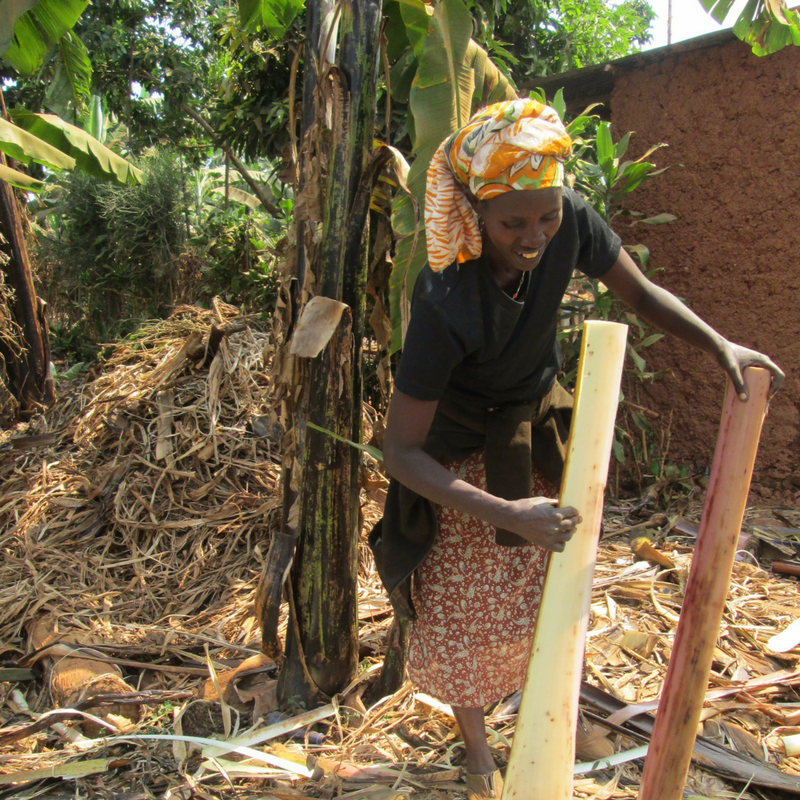 In order to fill this demand, SHE has begun working with a new banana farming co-op in Rwanda, giving 220 new farmers the opportunity to earn over 30% higher incomes. Nyiransaba is a farmer and a mother of 5 children. She is one of the farmers in the new banana co-op we began working with this year. What does this new opportunity with SHE mean for Nyiransaba? Though she has just started receiving additional income from SHE, the money Nyiransaba is saving will give her and her family financial independence and the ability to get ahead in the future. SHE plans to bring on one additional co-op by the end of the year. Aimee Sealfon Kassana is a Design Director living in Kigali, Rwanda. She started working closely together with the SHE team and Johnson & Johnson two years ago as both a designer and a design strategist. 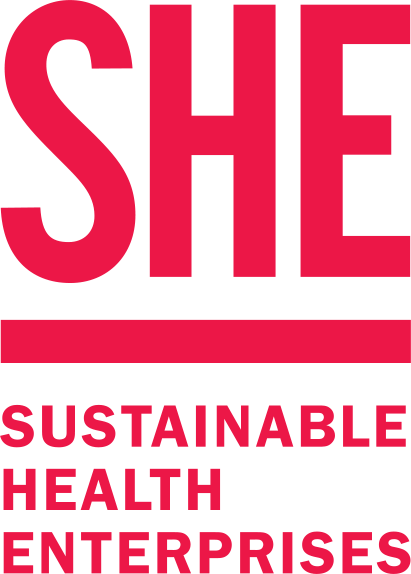 The SHE Team and Johnson & Johnson design partnership created sustainable design concepts together with key stakeholders, in order to develop more sustainable go! packaging and readily accessible health education. During the decade that she worked for Johnson & Johnson, Aimee says that designing for SHE is the project she is most passionate about and invested in. 1. How did you start designing such culturally sensitive and work? How did you test your designs to make sure they communicated the right messages? All designers need to be culturally sensitive in order to create materials that are successful. I began working with Johnson & Johnson more than a decade ago as the design director for the Women’s Health franchise. I managed the design and creative direction of the consumer packaging for all of their global women’s health care brands and feminine hygiene brands. Some products play an intimate role in women’s lives, and understanding the appropriate cultural sensitivities and how they differed from region to region — and even country to country — was incredibly important to understand from a consumer insights perspective. As a designer, I have to gather insights on cultural norms, customs, practices, taboos; how and where she shopped; how she lived, trying to better understand her desires and dreams; mapping her journey and how she interacted with these products throughout her life. These insights were then embedded into the design concepts that were developed, in order to create products that added delight, meaning, or in some ways, improved or positively impacted her life. To test them, we would create prototypes and share them directly with our target audiences in both qualitative and quantitative groups to gather critical feedback and / or co-create together. 2. What did you learn from this work and how did those lessons affect the final product? Women around the world ultimately have very similar feelings and frustrations around their intimate health needs. Women are women. Regardless of where they live or their socio-economic status, women struggle with issues of self-confidence and wish they knew more about what was happening to them. Being aware of this has allowed me to create consumer experiences that are more approachable and delightful, more meaningful and authentic. 3. Why does design matter on this project? How does it lead to social impact? People are inherently visual beings, so I would like to think that good design is important for all projects. However, in this specific case with the development of more sustainable packaging for SHE, we needed to figure out how to create more sustainable packaging that also fit within the consumers’ lives in a seamless manner. 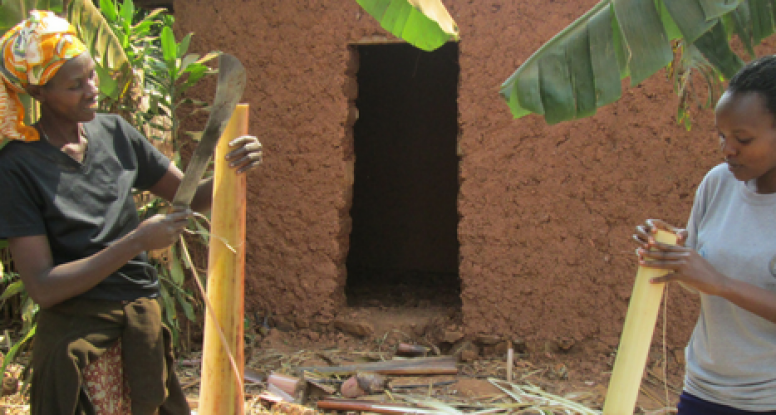 It is really hard to change existing behaviors — for example, trying to get the girls to dispose of their used pads and wrappers in a manner other than throwing them down the latrine would be challenging. Recognizing this need led to the development of PET coated paper for the pad wrappers, which will biodegrade. 4. Tell us about the educational pamphlet you’ve been making for SHE. As we gathered insights from the girls and women, to gain more perspective around how to create more sustainable packaging, we also learned that the girls had SO MANY questions that were not fully answered from what was taught in a classroom setting. They were intimate questions that they did not feel comfortable asking their teachers or their aunts or older sisters. 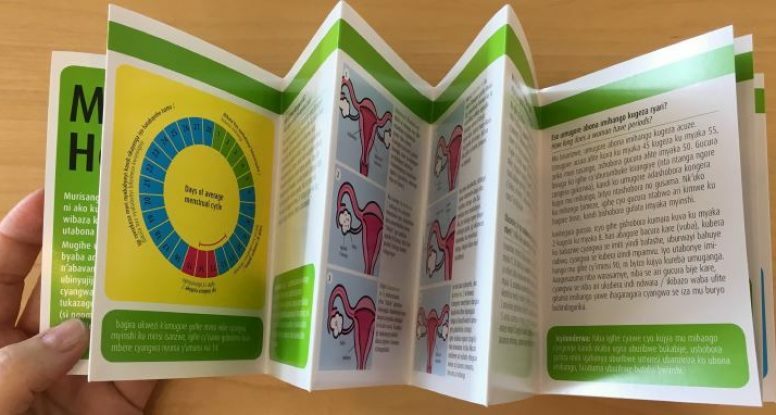 Thus, the idea to create a pocket-sized, educational pamphlet that could be updated in different versions, was born, as it allowed the girls easy access to all of their most pertinent sexual and reproductive health queries, in a format that was discreet (easy to hide from nosy boy classmates and brothers) but that was also easily shareable with their friends and younger sisters. 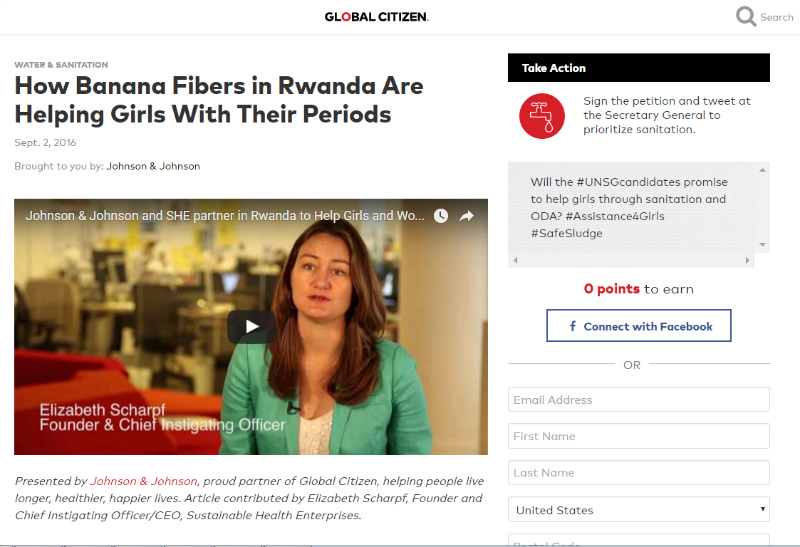 Quiz: What do you know about how periods affect girls around the world? What advice did your mom give you? Building a sustainable social business comes with many challenges, but the quality of the product itself is one factor that can make or break success. How do we keep producing a high-quality product, and how do we ensure this production can be sustained in the future? 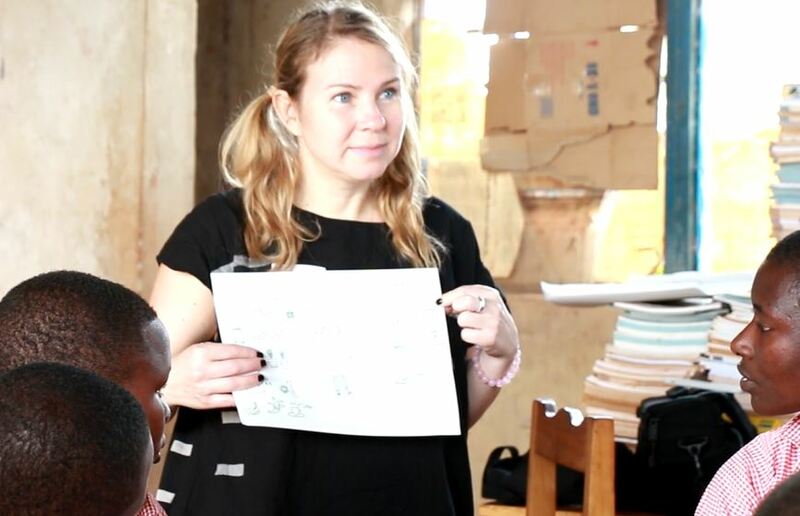 We’ve enlisted Leah Putman, an engineer who brings years of experience working in both American industries and low-resource environments to join our Rwanda team in tackling these challenges. 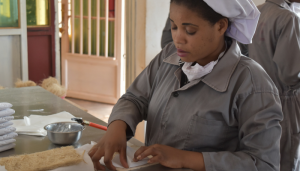 In order to have a business that lasts, Leah knows we have to be “producing a stable and reliable product that girls can count on.” To keep accomplishing this, Leah has begun to work on improving the consistency in our banana fiber supply chain. This can be difficult since rainy season in Rwanda can cause unpredictable downpours that extend fiber drying time by days. Our team will build a storage facility to dry the material at the supplier, which will reduce the amount of time spent on drying and washing of fiber. In the meantime, 2017 is already on track to be our most productive year yet. SHE is solving a global problem, and we never take our eyes off the big picture, which is the replication of SHE28’s model. With every minor and major step we take in production, we always keep replication and scale in consideration. On a large scale, we recently implemented some new machinery (pictured above), which our staff affectionately refers to as “The Turbo King Machine.” This technology boosted our production capacity- we’ve made nearly 60,000 pads already this year! In order to recreate this technology, our staff will have an important challenge. The SHE production team will recreate this technology with parts that are easy to find, replace, and repair locally within Rwanda. If we are able to rely on locally sourced parts, we ensure sustainability and prevent many of the common failures that traditional development projects often face. 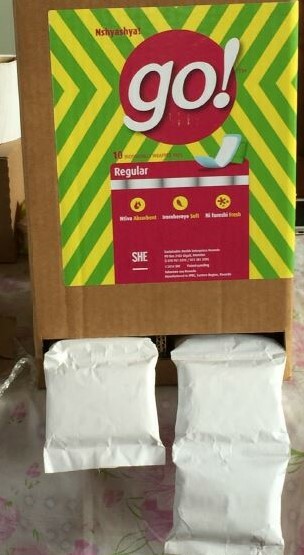 But even on a smaller scale, Leah noticed that the adhesive that holds the pads together before they are sealed is currently imported, but could be made locally. She is experimenting with different formulas that would be “easy to use, stick well, cost-effective, and easy to make anywhere.” Even in her free time, Leah is tinkering with different formulas at her kitchen table. These incremental improvements will produce big returns. Local sourcing increases our impact on the local economy and lowers our unit costs so that we can reach as many women and girls as possible. Support women in the workplace. 170 years is too long! What policies could be put into place in your workplace to support female leadership? Reports that female engineers face serious challenges at work, even in places like progressive California, show us that we have to take action to change these policies. 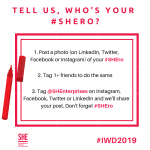 At SHE, female employees are in the majority and are encouraged to do jobs that break gender stereotypes. What can you do to bring a little boldness to your workplace? Invest in causes that lift women up. We have expanded access to menstrual pads that enable women to do their jobs and attend school without worry to over 13,000 women and girls, and we couldn’t have done it without the investment of hundreds of generous investors who share our vision. 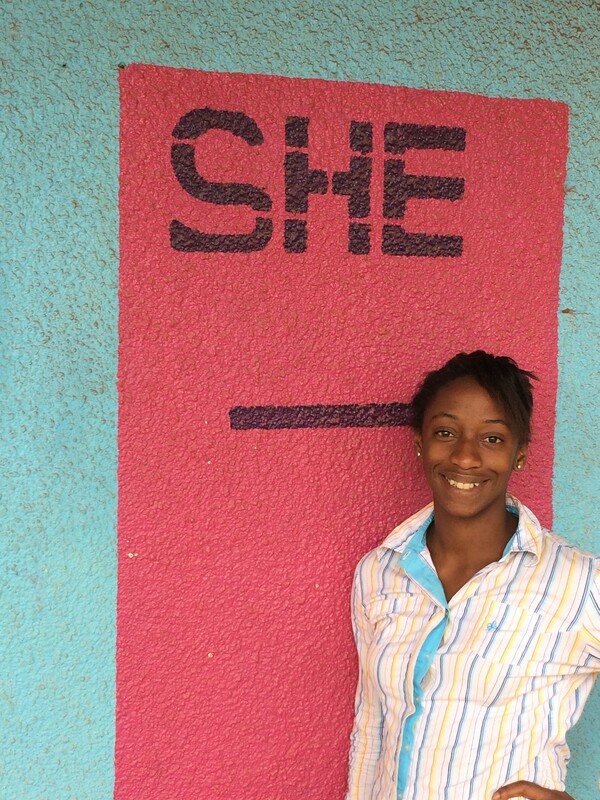 Invest in SHE today to accelerate the pace of positive change. Contribute your skills to the causes you care about. Make the most of whatever it is you excel at. Whether you have expertise in engineering or are a social butterfly who is great at getting their friends together for a fundraiser, think about where your skills could be used to fill a gap. An added side bonus is that using your skills to create positive change will make you feel great too! P.S. We have a bonus action you can take, and it’s a quick one. Support PIMCO’s WomenForward partners on Thunderclap, which will post a one-time message in support of WomenForward to your Facebook, Twitter, or Tumblr page on March 8th at noon. 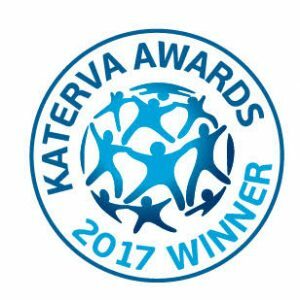 It’s Easy Being Green – SHE selected as Katerva Category Winner! Good news, SHE fans! SHE was honored by Katerva, dubbed by Reuters as “The Nobel Prize for Sustainability,” with its 2017 award for gender equality. Katerva chose SHE out of 500 applicants because of our positive social and environmental change, along with our high potential to scale. It’s no secret that mainstream menstrual hygiene products are no friend to the environment. The average American woman produces 62,415 pounds of non-biodegradable menstruation related waste in her lifetime. We create go! 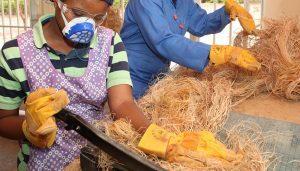 pads in a way that reduces the environmental harm of traditional pads, using a process that transforms agro waste (e.g. banana fibers) into an absorbent core without using any chemicals or super absorbent polymers. Thanks to our partnership with Johnson and Johnson, we now have new technology that has completely eliminated water from our production process and reduced our electricity use by 400%. We take these steps not only to protect the environment, but also because using few resources will enable us to scale in developing economies around the globe. With your support, we’ve been successful in reaching more people with fewer resources, an important goal for businesses in the 21st century. 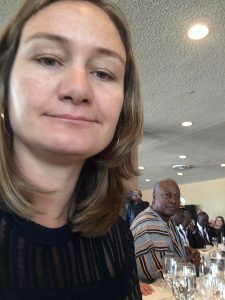 This September, our Chief Instigator Elizabeth Scharpf took on the United Nations General Assembly, speaking at a high-level panel for Every Woman Every Child at the UN Headquarters in New York. 2016 marks the adoption of new global development goals and strategies which bring into focus one of SHE’s greatest strengths- Sustainability. 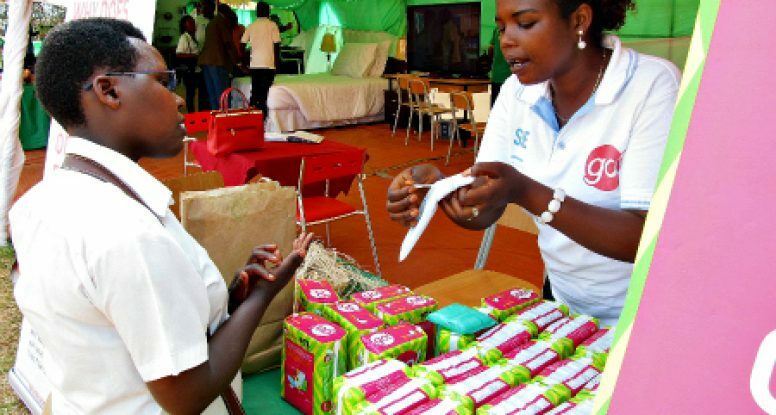 SHE’s innovative work in scaling the production of sustainable sanitary pads was showcased amongst the ranks of technology powerhouses such as Huawei, GE Foundation, Philips, and Orange. 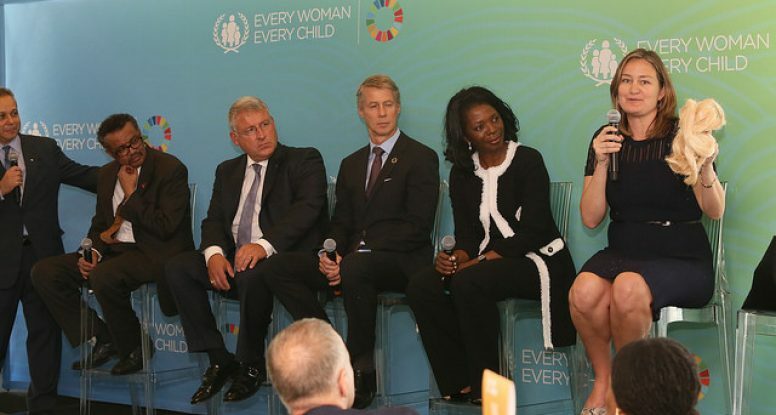 Every Woman Every Child brings together partners from different sectors and encourages collaboration in achieving a common goal – improving the wellbeing of women and children across the world. 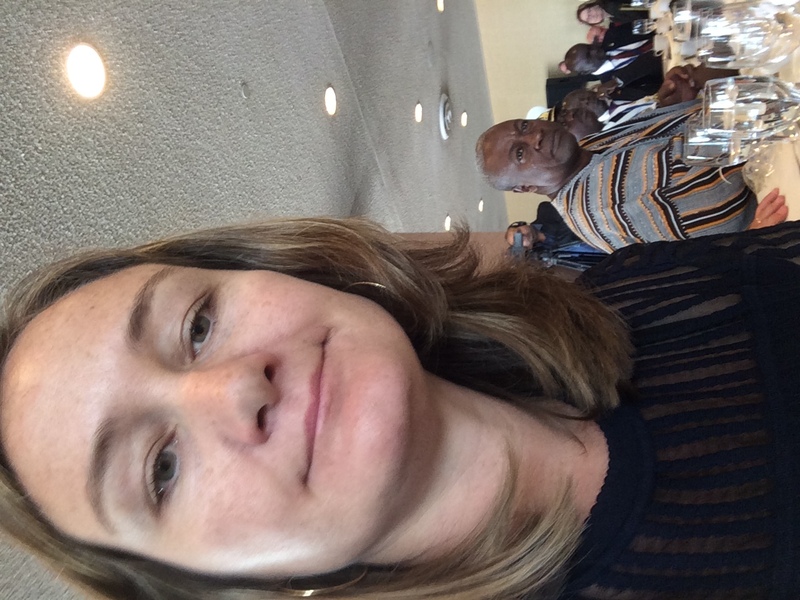 Every Woman Every Child’s efforts to enhance collaboration between public and private sectors will increase the efficiency in achieving social impact, but we also have them to thank for this excellent selfie of Elizabeth and the President of Ghana. SHE is committed to serving 250,000 girls by 2017, in line with our plans for expansion of the SHE28 campaign within Rwanda and globally. Join our commitment and invest in our market-based solution to improving the well-being of women and girls. 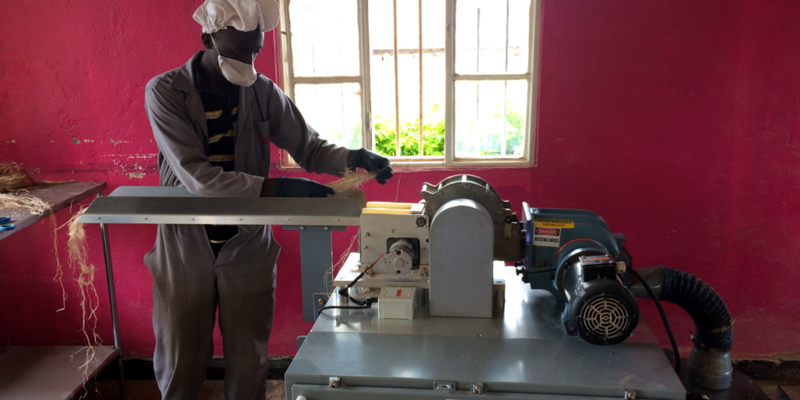 CNBC and Global Citizen featured our expanded production and growing social enterprise across East Africa, thanks to a technical partnership with Johnson and Johnson. 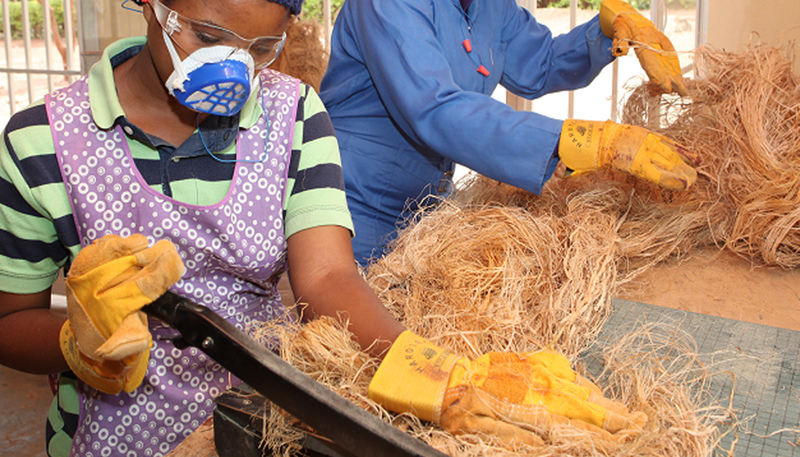 Everything we do — whether it’s training farmers to supply us banana fiber or providing girls access to our go! pads — is thanks to our amazing network of champions like you. 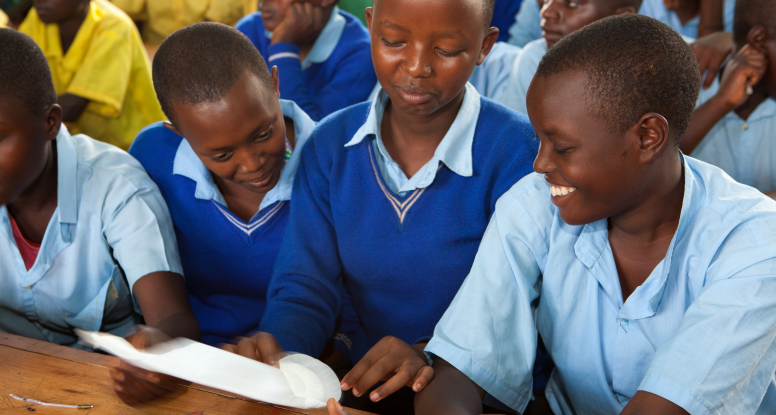 Together, we’ve already made and distributed almost 200,000 pads to 10,000 girls throughout Rwanda and have created new income opportunities for 630 enterprising people. And we’re just getting started. Read on.